LIGHTHOUSE is a community partner and wants to connect with you! If you have an event you would like the LIGHTHOUSE to become a part of, contact us today! 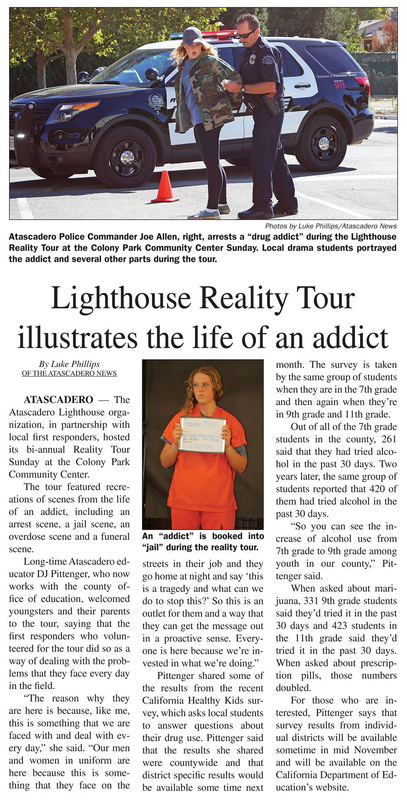 The Atascadero LIGHTHOUSE and the Atascadero Police Department collaborated for the Reality Tour, recreating scenes from the life of an addict — including jail, an overdose, and a funeral. Each of these have happened in our community over the past few months, and the Reality Tour served to bring a "reality check" to the community, and bring awareness to a serious issue facing our community every day. Surveys of junior high and high school aged kids from around San Luis Obispo County show just how serious and prevalent this issue really is. LIGHTHOUSE committee members Donn Clickard, Chris Balogh, and Joe Allen went "On-Air" at KCBX Radio 90.1 FM to talk LIGHTHOUSE and take calls. The Atascadero Greyhound Foundation, and the LIGHTHOUSE committee, was at the festival serving tri-tip sandwiches. The weather was hot, but the music was good and the company was outstanding! Special thanks to Gena Molina, Heather Moreno, Jerry Clay, Charlene Ables, Ron Johanson, Donn Clickard, Rolfe Nelson and everyone who showed up! 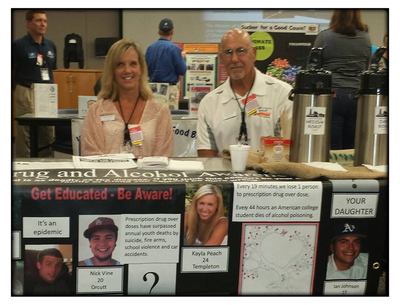 The LIGHTHOUSE was invited out to the PG&E event to bring awareness of the committee and the programs it supports to the employees at Diablo Canyon. The fair gave LIGHTHOUSE an opportunity to make an impression on, and receive contributions from, the employees at Diablo Canyon which PG&E would match. 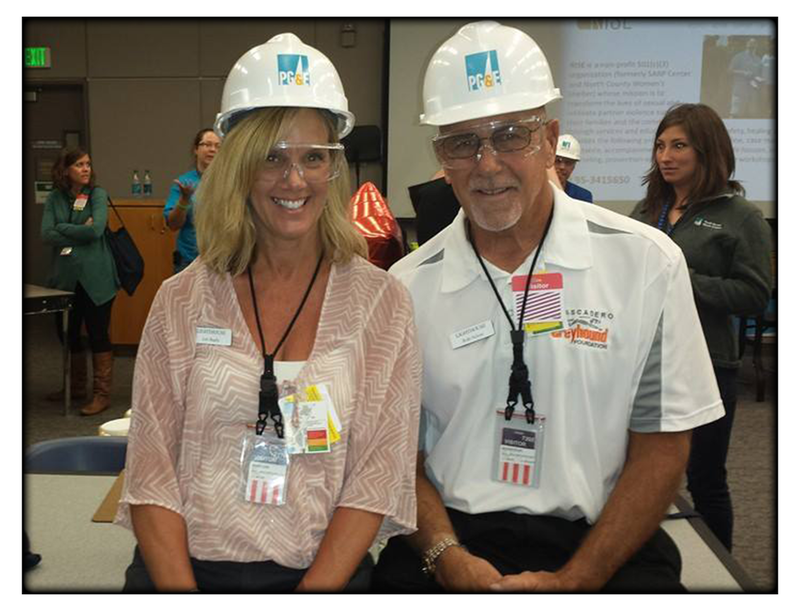 LIGHTHOUSE chairperson Lori Bagby and treasurer Rolfe Nelson attended the event. LIGHTHOUSE receives wonderful support from our community partner Gatherings Thrift and we were proud to be onsite for their anniversary celebration at their location at 5660 El Camino Real in Atascadero. We had our coffee there with our committee members Rolfe Nelson and Signa Schmidt serving samples, and selling bags of our LIGHTHOUSE coffee. Thank you Gatherings Thrift for all you do for us and others in the community. Come see us out and about!